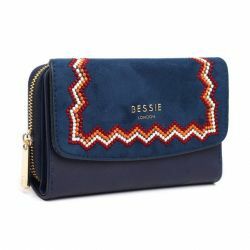 Navy crossbody bag with embroidery. 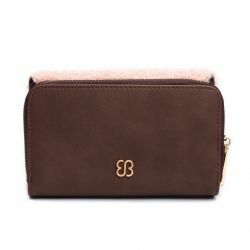 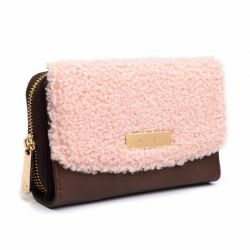 Pink crossbody bag with curly faux fur surface. 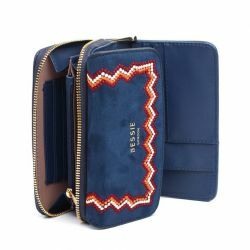 3 compartments: 2 zip pockets and 1 pocket with magnetic clasp.